Advocates of integrating technology education in teacher education face a significant obstacle that may not be experienced by other curriculum reformers – they probably do not know much about curriculum reform. By examining models of curricular change, technology integration advocates may be more successful in implementing their ideas. Rock, T. & Passe, J. (2004). Technology Integration at the University Level: An Analysis of an Elementary Social Studies Methods Course. 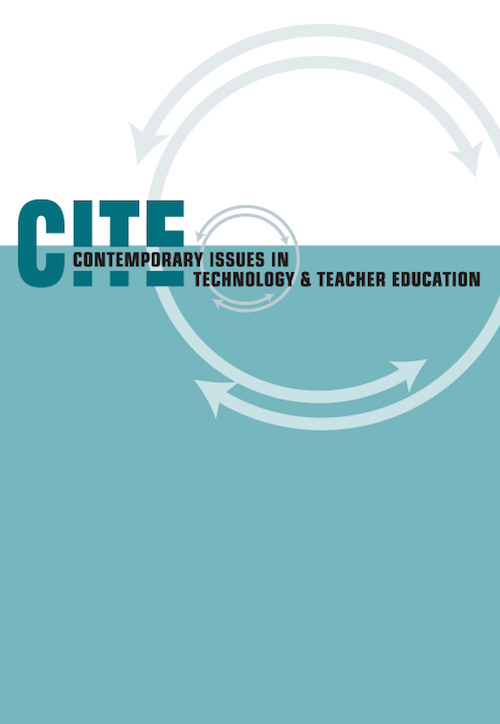 Contemporary Issues in Technology and Teacher Education, 4 (3), 313-322. Waynesville, NC USA: Society for Information Technology & Teacher Education. Retrieved April 23, 2019 from https://www.learntechlib.org/primary/p/19955/. Berson, M.J. (2000). Rethinking research and pedagogy in the social studies: The creation of caring connections through technology. Theory and Research in Social Education, 28(1), 121-131. Diem, R. (2000). Can it make a difference? Technology and the social studies. Theory and Research In Social Education, 28(4), 493-501. Rice, M.L., & Miller, M.T. (2001). Faculty involvement in planning for the use and integration of instructional and administrative technologies. Journal of Research on Computing in Education, 33 (3), 328-33 7. Rose, S.A., & Fernlund, P.M. (1997). Using technology for powerful social studies learning. Social Education, 61 (3), 160-166. Tanner, D., & Tanner. L. (1995) Curriculum development: Theory into practice (3rd ed.). Englewood Cliffs, NJ: Merrill.